This is the 8.4oz (250ml) size bottle of Airbrush Cleaner from Tamiya. 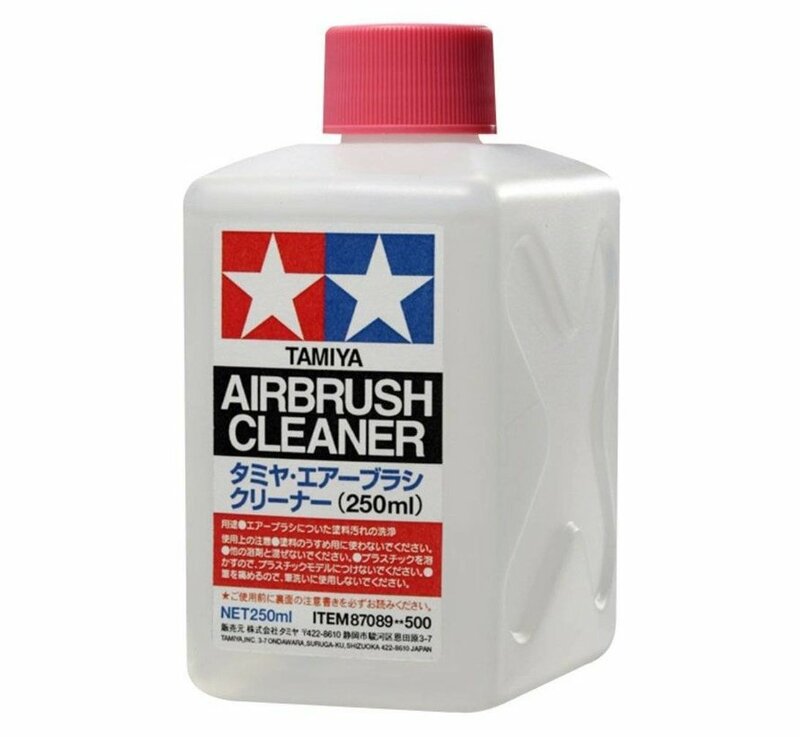 Do not use this cleaner on plastics, the solvent will melt plastic. 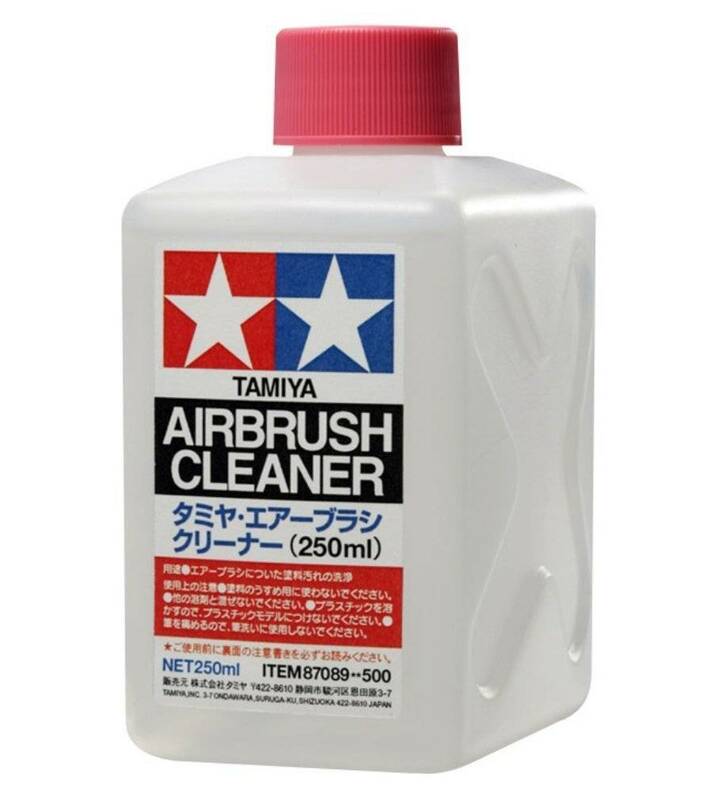 Not recommended for cleaning bristle brushes.